Merson is the director of public school partnerships at the Yale Office of New Haven and State Affairs. She and Maria Parente, the coordinator for community programs in science, have been responsible for retooling the “STEM train” over the past half-decade. 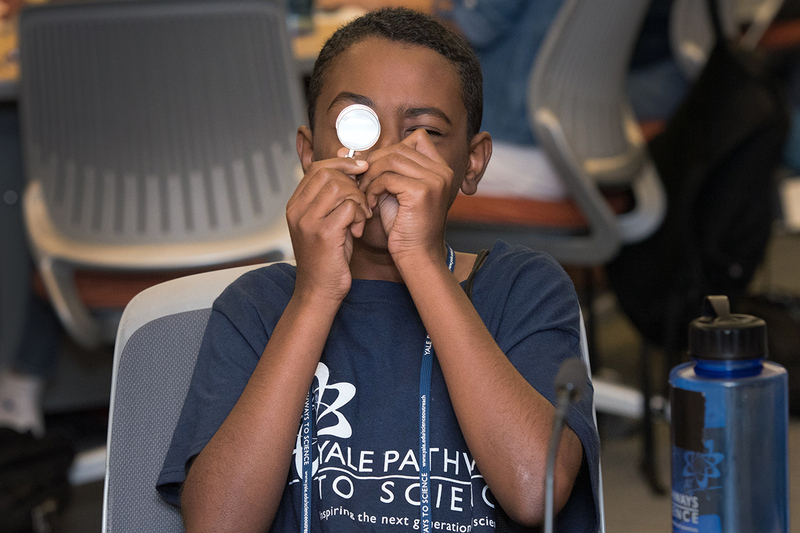 Now, in 2017, it is a fine-tuned machine that transports middle and high school students to both familiar destinations (biology, psychology, physics) and unexpected ones (ophthalmology, biomedical engineering, videogame design), where they are invited to hop off and explore, with Yale faculty, researchers, and students as their tour guides. To do this, every year Pathways recruits a new cohort from the New Haven, West Haven, and Orange public schools. Merson and Parente advertise the program widely and encourage all science and math teachers at the cities’ middle and high schools to put forward names of students who show either an interest in or an aptitude for STEM. 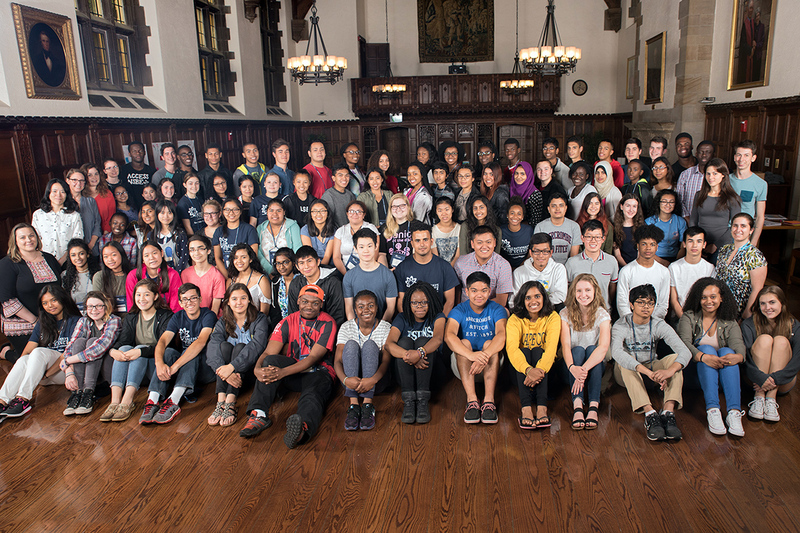 Though their mutual love for STEM unites them, the cohort is otherwise diverse in race and class; 46% of the students will be the first in their family to attend college. 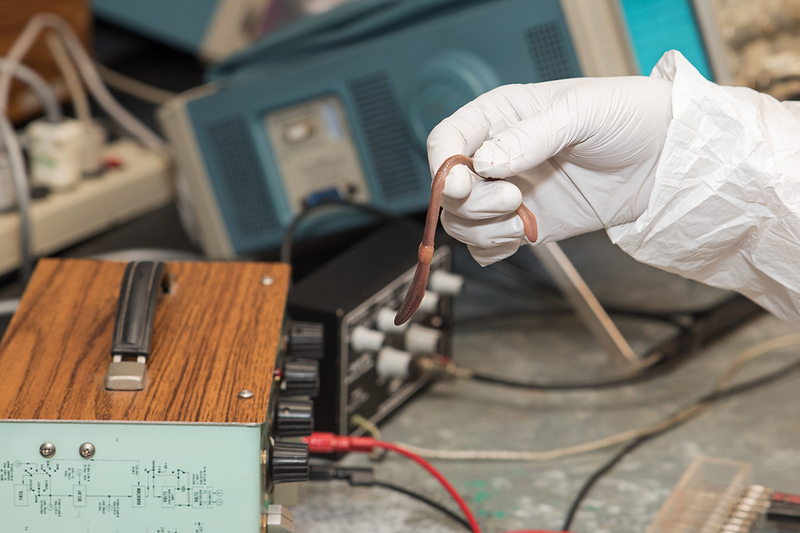 Once the students are accepted, they are invited to join any and all Pathways-sponsored events, from the lectures to the full-day programs like “Brain Education Day,” an event hosted by the Department of Neuroscience where students are able to dissect brains, observe electrical signals from organisms, visit the mock fMRI scanner, control a robotic claw using electrical activity produced by their own muscles, and tour the Cushing Brain Library. There were 41 Pathways events were designed specifically for last year’s student cohort. 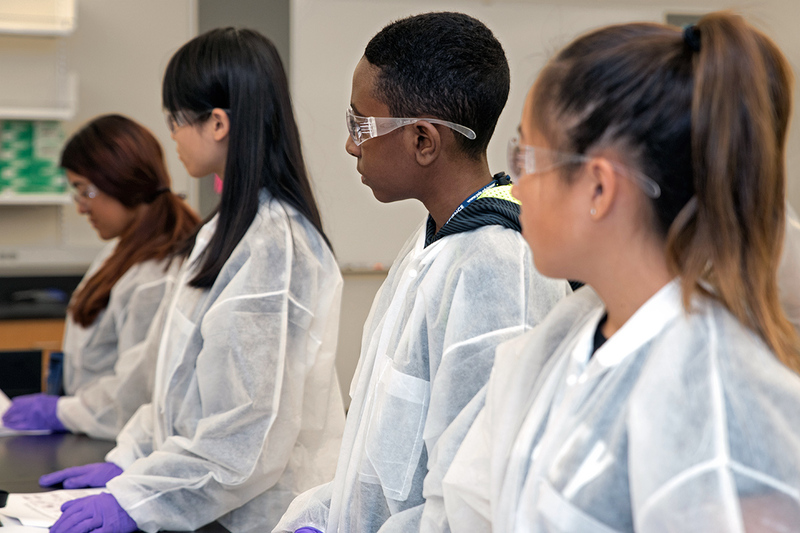 In addition to the many activities during the school year, there is Pathway's “crown jewel,” the intensive Pathways to Science Summer Scholars program. 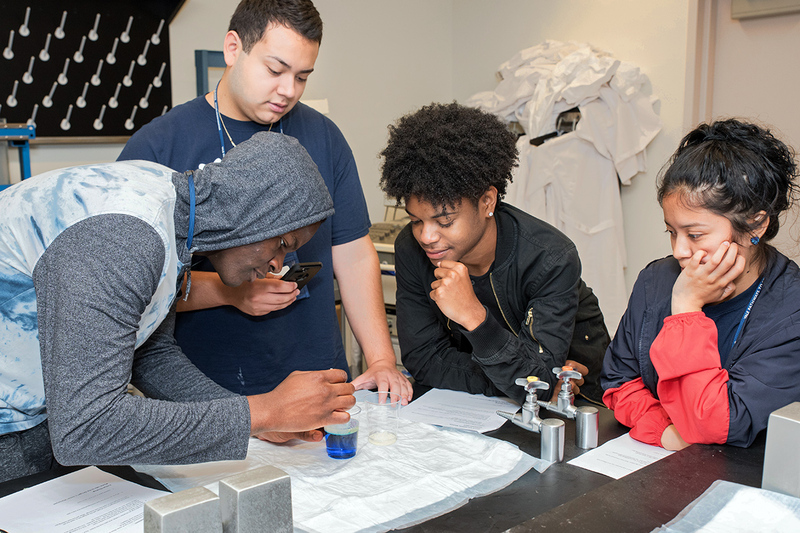 Designed for Pathways participants entering grades 9-12, Summer Scholars takes place for two weeks every July and consists of 10 days filled with workshops on topics that range from the chemistry of beauty to the construction of solar cells. Like every other Pathways program, the summer session is free. “Summer Scholars really allows students the opportunity to get their hands dirty,” said Parente. She and Merson both say they love the way students are able to dig into the subjects during Summer Scholars that they have fallen in love with through the Pathways events during the school year. Summer Scholars stay overnight in the Jonathan Edwards College dormitories and lunch in Grace Hopper College during the two-week session — giving students, many of whom will be first in family to attend college, a window into the college experience. They bond with each other and their RAs (current Yale students), and receive additional support and guidance for college application season. In addition to the usual science curricula, there is a college essay workshop. Each participant emerges from the two weeks with a Common Application-ready essay in hand. “Some of them are so good they would make you cry,” said Parente. 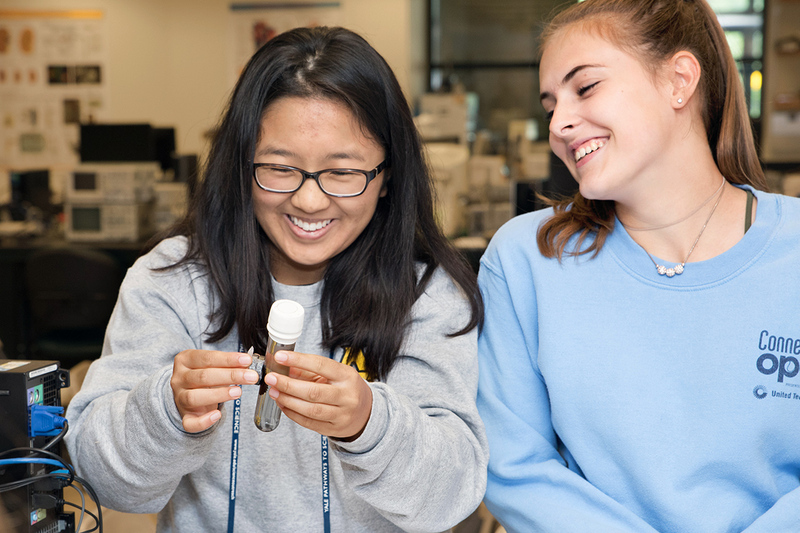 Finally, if years of attending Summer Scholars and Pathways events still does not sate a student’s appetite for STEM, Parente and Merson will work to connect that student to an internship or other extended experience with Yale faculty and departments. Merson told the story of a student from Career High School who — after attending a Pathways event — fell in love with astrophysics. 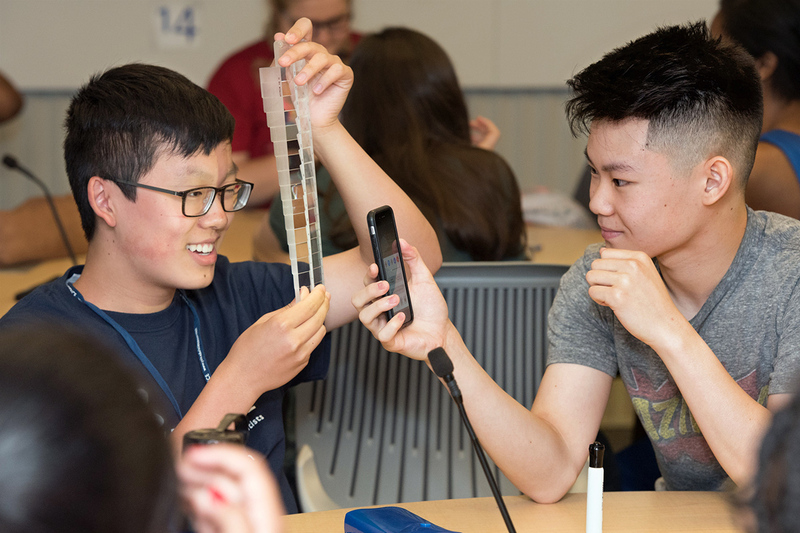 Yale’s Department of Astronomy opened a spot for the Pathways student in Yale’s competitive astrophysics summer camp, which brings in students from across the nation. However, none of the above opportunities in STEM would be possible if generous educators did not donate their time, note Merson and Parente. This summer saw a record-high number of Yale faculty and community members involved, with 118 participating in roles as varied as teaching, residential advising, and administrative support. Educators also bring the big ideas. Coming from fields as diverse as neuroscience and engineering, public health and physical chemistry, the professors, post-docs, and graduate students propose their concepts for summer workshops to Merson and Parente in the fall. 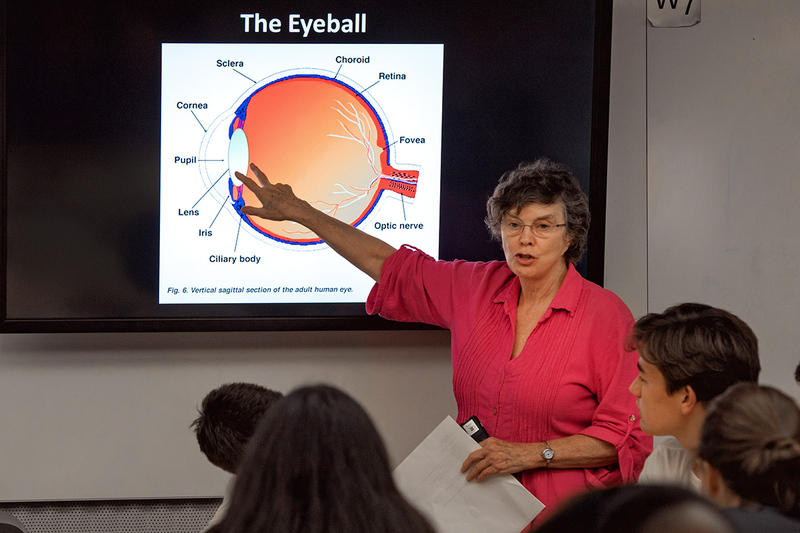 Merson and Parente work with them to develop term-time Pathways events, like the Chemistry Open House or Ophthalmology Day, designed to pique the interest of students for particular subjects. 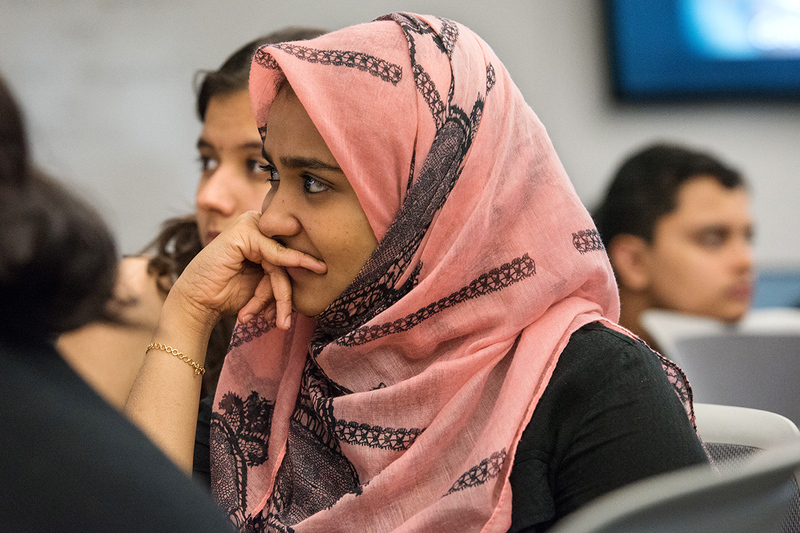 When Summer Scholars rolls around, students can then attend the two-week versions of these workshops, which these Yale professors have proposed to teach. The latest example of this is Dr. Lynn Fiellin’s “ForAGirl Program: Engaging Girls in STEM through Video Game Research.” Fiellin reached out to Merson and Parente to ask about launching a new STEM program that would reach out to young women from the New Haven community. In return, Merson and Parente gave her guidance and the administrative support that her nascent program needed. The program came to life this July: ForAGirl was a two-week workshop in the 2017 Summer Scholars program that had young women designing and pitching educational videogames, in the vein of the work Fiellin does as director of the play2Prevent lab in the Yale Center for Health & Learning Games. 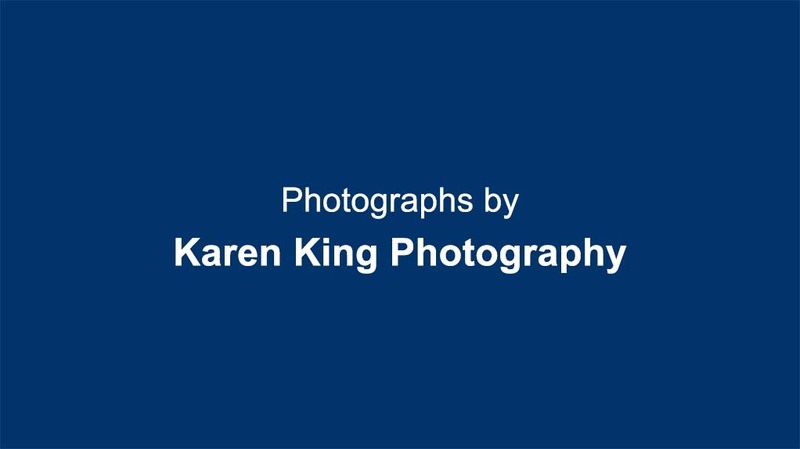 ForAGirl is only one of the many successful Yale faculty offerings born from the Pathways incubator. This summer there were also workshops hosted by Ziad Ganim of chemistry (“Molecule by Molecule: Seeing & Manipulating Single Molecules”); William Boos Trude Storelvmo, and Mary-Louise Timmermans of geology and geophysics (“Physics of the Atmosphere & Oceans: From the Tropics to the Poles”); and Elena Gracheva and Slav Bagriantsev of the Yale School of Medicine (“Sensory Physiology”), to name just a few. The program is now expanding beyond its STEM focus. Pathways for Arts and Humanities officially welcomes its first cohort this year, led by Sarah Wessler in the Office of New Haven and State Affairs. Ultimately, for both Merson and Parente — and all the educators who volunteer their time and expertise — Pathways for Science is about the students. It is never too late to get involved, either as a student or an educator.